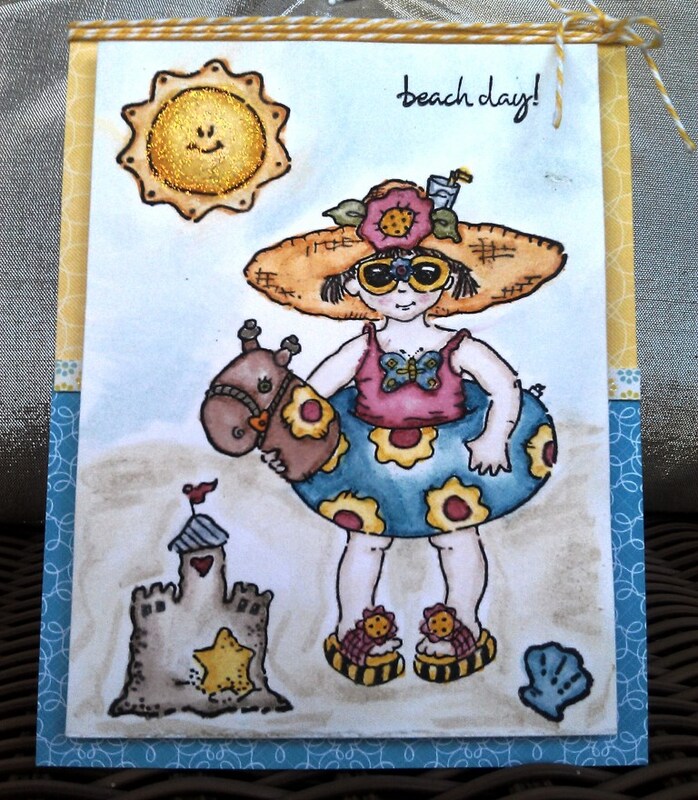 On this Labor Day holiday, I figured it’s appropriate to post a day-at-the-beach card to celebrate hard work–and a relaxing day off. An invitation to relax on the beach in your flip-flops. In Florida, most of us live in flip-flops practically year-round. Ironically, I prefer to go the beach during the non-summer months when there’s less chance of rain. But I love the idea of sitting by the waves on a sunny beach! And I love these dies from Lil’ Inker Designs. Aren’t the flip-flops adorable? I accented them with little pink rhinestones, but the dies come with decorative hearts and flowers that you can add to them as well. I popped them up using foam adhesive. All the patterned papers come from a 6″ x 6″ paper pad from Heidi Grace, Sunshowers. I took two different teal patterns to create the waves with my Fiskars waves punch. On top of that I layered a textured piece of off-white paper to create the sandy beach. I used craft scissors to create an uneven shoreline, then lightly edged it with a foam blending tool and Distress Ink in Antique Linen. All of these items I adhered to a Bazzill card stock base in pale blue. I rounded all four corners with my Corner Chomper and stamped a Fun in the Sun sentiment from a Penny Black clear stamp set of the same name. Lastly, I added two pink rhinestones to flank the message. What do you think? 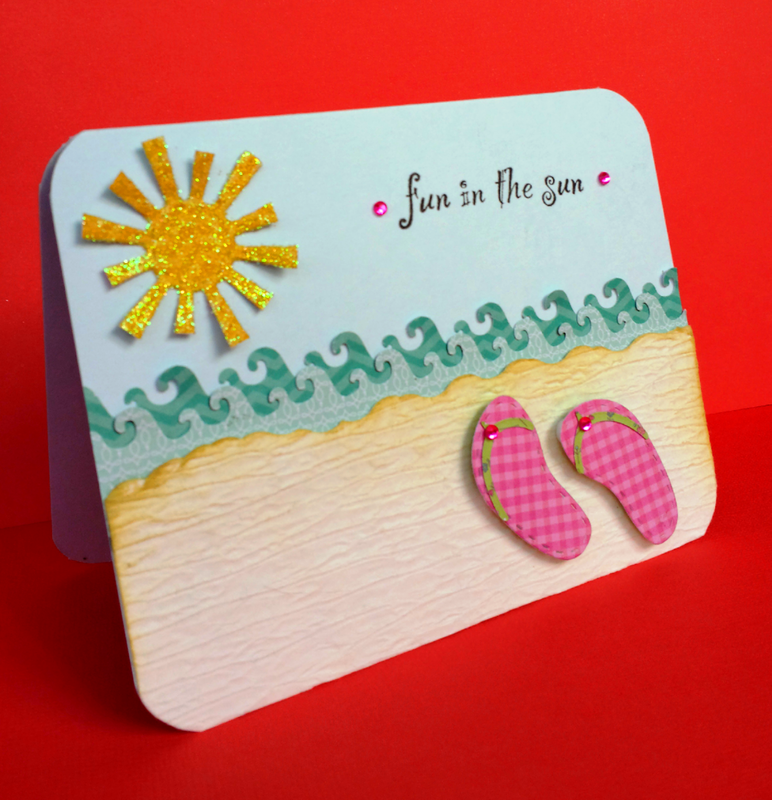 Does this card encourage you to enjoy a fun vacation by the beach?